Danforth floorplan built by Centex in a prime location. Beautifully maintained great room home with soaring ceilings, gourmet kitchen, open great room, ceramic tile on the diagonal and upgraded kitchen. Sewer Assessment paid! 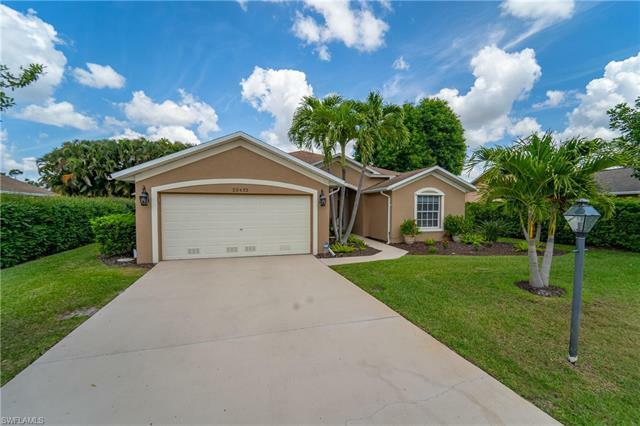 Enjoy the wonderful lifestyle of Fountain Lakes with it's many amenities that include golf, tennis, fitness center and much more for very low association fees. Fountain Lakes is located across the street from Coconut Point where shopping and entertainment await you!